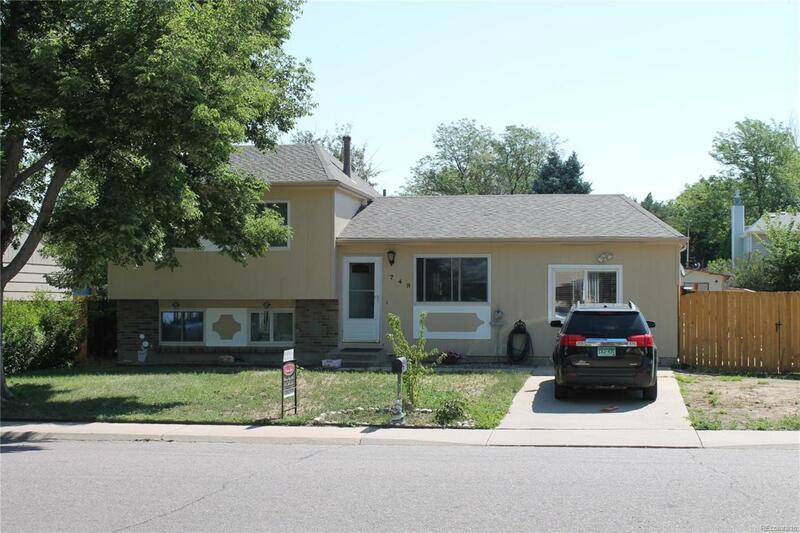 Priced to Sell in Cherry Creek School District! Updates include new granite countertops and back splash! Updated baths new 6 fence in yard! Plenty of parking and room for RV! Quick possession on this 4 bedroom 2 bath home! Hurry! Large storage shed and play house Included!